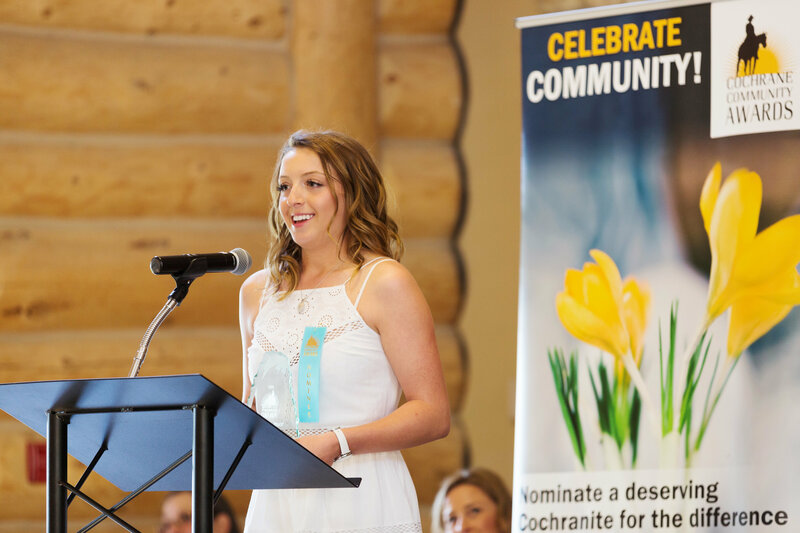 The Cochrane Community Awards program is overseen by a committee of local representatives including: educators, seniors, businesses, sustainability champions, the Cochrane and District Chamber of Commerce and the Town of Cochrane. Volunteers from the community are an integral part of the annual awards. The program is funded through sponsorship from local businesses and groups who recognize the value in activities that encourage making Cochrane a vibrant place to live. Nominations are submitted by members of the community as well as the Nominations Committee, made up of community members and previous award recipients. Award recipients are determined by the Selection Committee, made up of the organizing committee and award recipients from previous years.